WordPress owns the largest market share on websites, which according to a research is about 25%. More than 50 million websites use WordPress as a content management system (CMS). WordPress is an open source system and anyone can set up a plugin, according to his code. As well as, more and more users use WordPress, is growing the need for the translation of this content, since the users are all over the world. Nowadays, the translation of websites is important, as the business grows in different countries. We would like to inform you about our collaboration with the biggest plugin in the field of translation, the WPML. 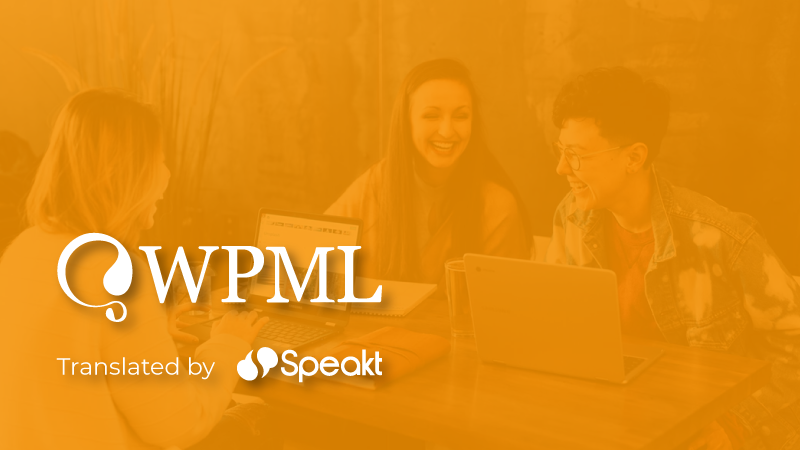 Thanks to WPML, the WordPress users can use WPML for their direct connection with Speakt so as to order professional translations in more than 35 languages. WPML is the most popular plugin and an amazing tool for the translation of large or small websites. You can send from WPML Dashboard directly your texts to Speakt.com in order to start your translation from a Speakt translator without even visiting our site. The dashboard shows you everything about the translation process and you can control every page, article, or Widget. Try it now, the customer service is at your disposal.